Aruba’s switching software delivers automation, security and high availability for today’s demanding Enterprise Edge. Aruba simplifies the complexities of managing today’s campus network needs with policy-driven segmentation and AI-powered automation features. 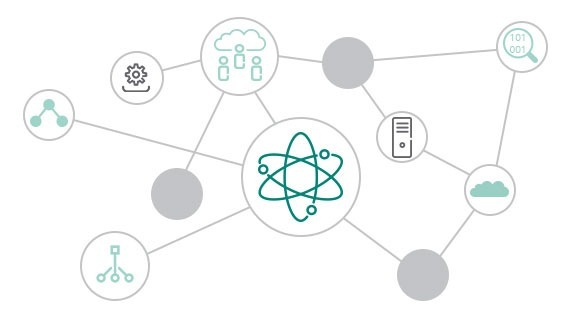 Secure and simplified access for users and IoT. Dynamic segmentation simplifies security by eliminating the manual configuration of VLANs and access lists. This ensures that appropriate access and security policies are always applied and maintained for users and IoT devices. 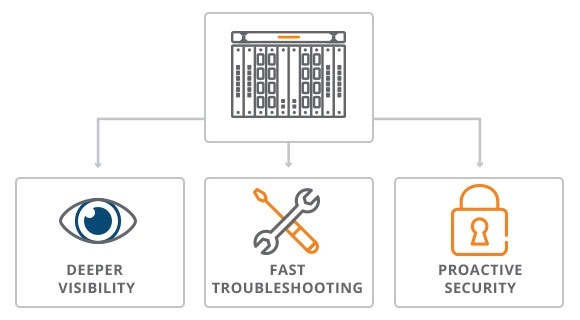 Aruba’s database-driven operating system is built to automate and simplify IT operations. ArubaOS-CX delivers unparalleled visibility and analytics with full programmability to enable network assurance. 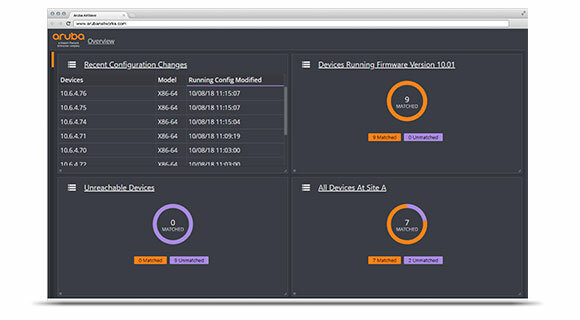 Aruba’s Network Analytics Engine (NAE) automatically interrogates and analyzes any event that impacts network health. NAE offers unprecedented visibility into anomalies and outages, with diagnostics and data collection for rapid resolution. Aruba NetEdit empowers IT teams to orchestrate switch configuration changes using intelligent capabilities, including search, edit, validation, deployment and audit, enabling IT teams to smoothly and safely coordinate end-to-end service rollouts. 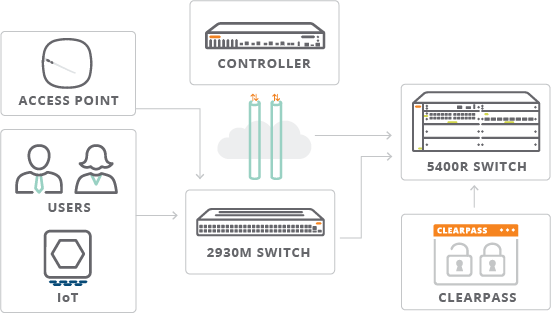 Aruba Virtual Switching Extension (VSX) provides a redundant architecture in both hardware and software. 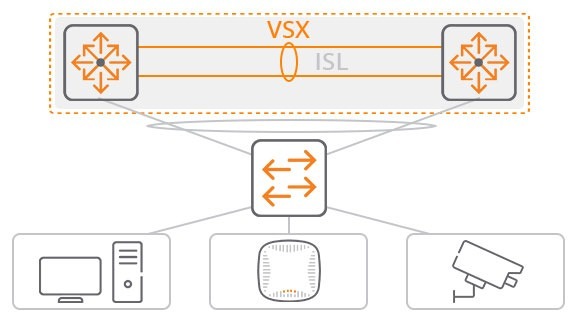 VSX uniquely ensures control plane synchronization for multichassis high availability. Try ArubaOS-CX with Open Virtual Appliance (OVA). The latest version of ArubaOS-CX Simulation software is available for personal and training use, to simulate network scenarios using Aruba’s new core switching OS. Explore the Support Portal and try the ArubaOS-CX OVA. Engage with the Airheads Community. Leverage the community to connect, share, and ask questions.